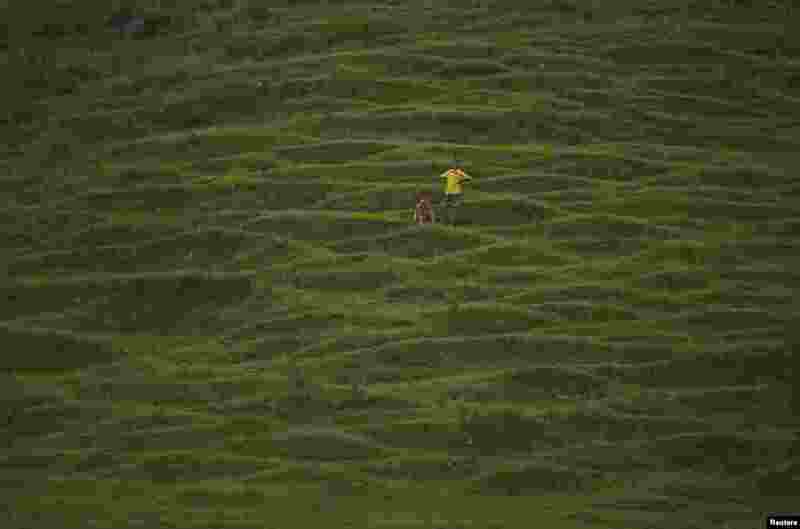 ۵ Children are seen on the hills on the outskirts of Kathmandu, Nepal. 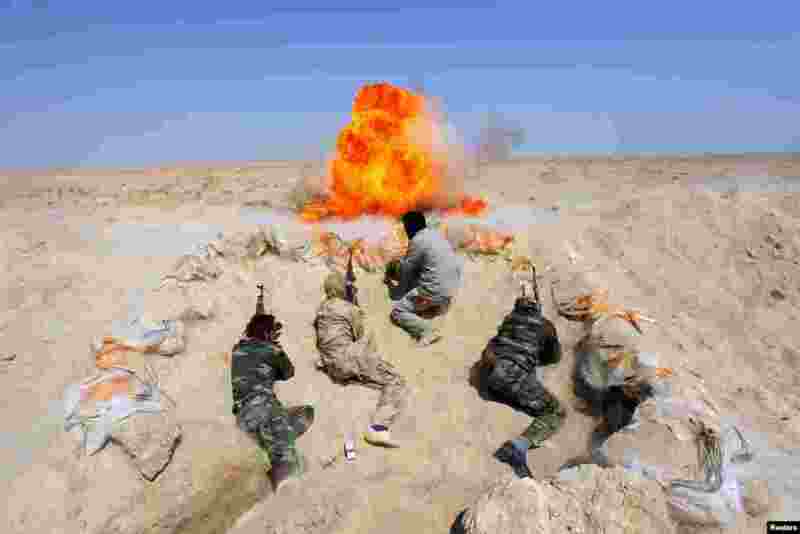 ۶ Shi'ite fighters, who have joined the Iraqi army to fight against militants of the Islamic State), take part in field training in the desert in the province of Najaf. 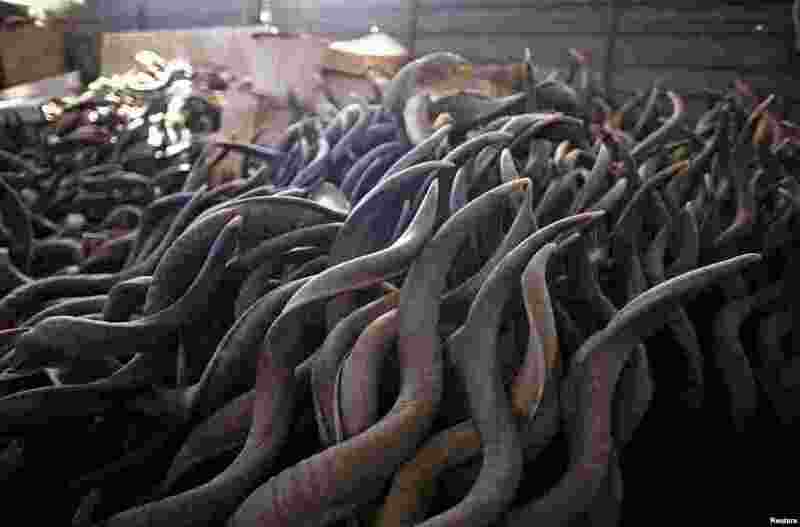 ۷ Horns are seen in Shimon Keinan's shofar manufacturing workshop in Givaat Yoav in the Israeli occupied Golan Heights. 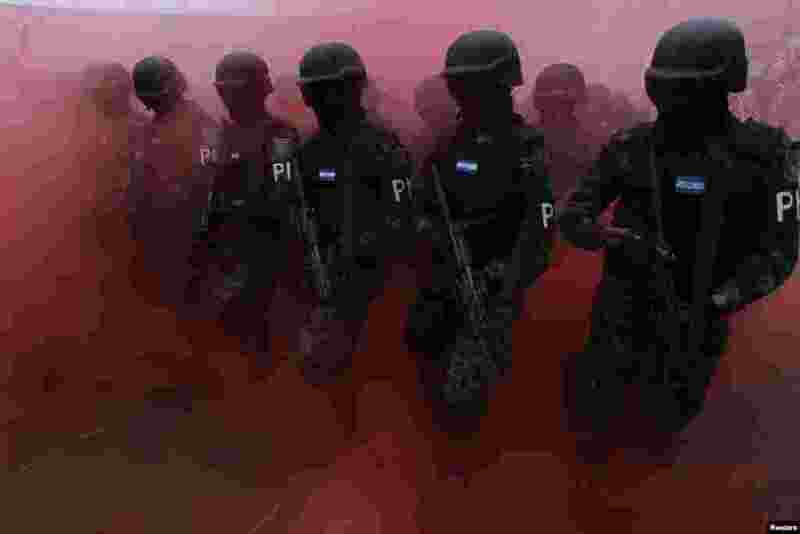 ۸ Members of the military police march during a parade commemorating Independence Day in Tegucigalpa, Honduras, Sept. 15, 2014.